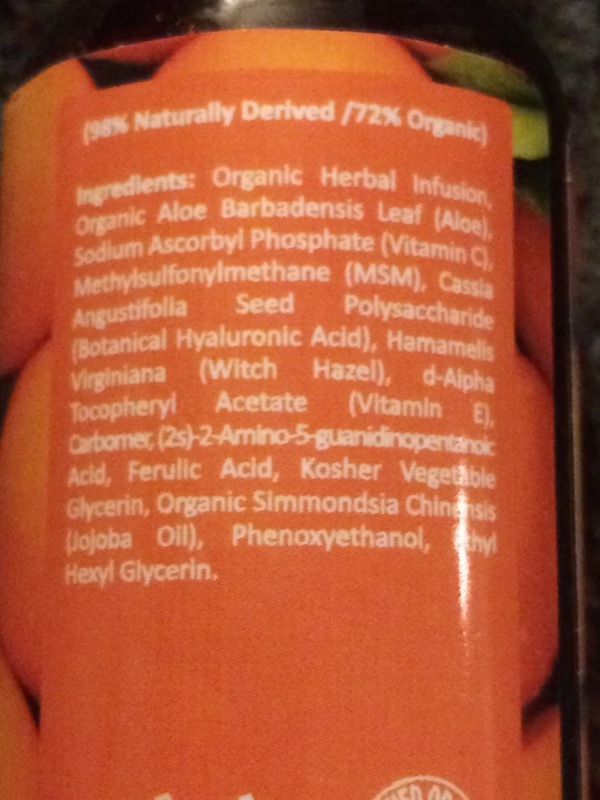 This serum is a concentrated delivery system for the highest form of bio-available Vitamin C for beautiful skin. Suspended in a concentrated base of pure vegan hyaluronic acid to plump skin cells and protect and restore. Directions: Apply small amount with fingertips to freshly cleansed and toned face, neck, and decollete areas (avoid contact with eyes). Allow time to absorb prior to moisturizer application. This serum is very fluid in texture, exactly like water but cloudy in color, and it has no scent. It absorbs almost immediately into the skin, but I like to allow extra time for it to sink in deeper before continuing with my skincare routine. 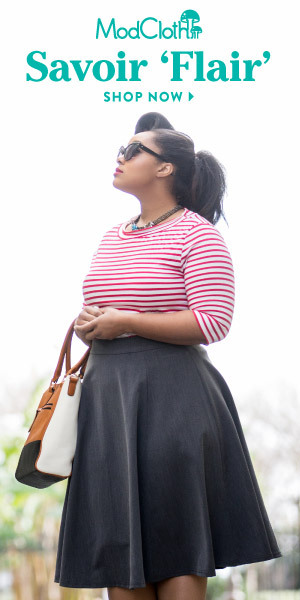 I found the vitamin c to lightly brighten the sun spots I have on my face, and the hyaluronic acid provided very light moisturization as well as allowing better absorption of the skincare products I applied afterwards. This is a very nice serum that is suitable for all skin types, and probably best for those looking to prevent the signs of aging. 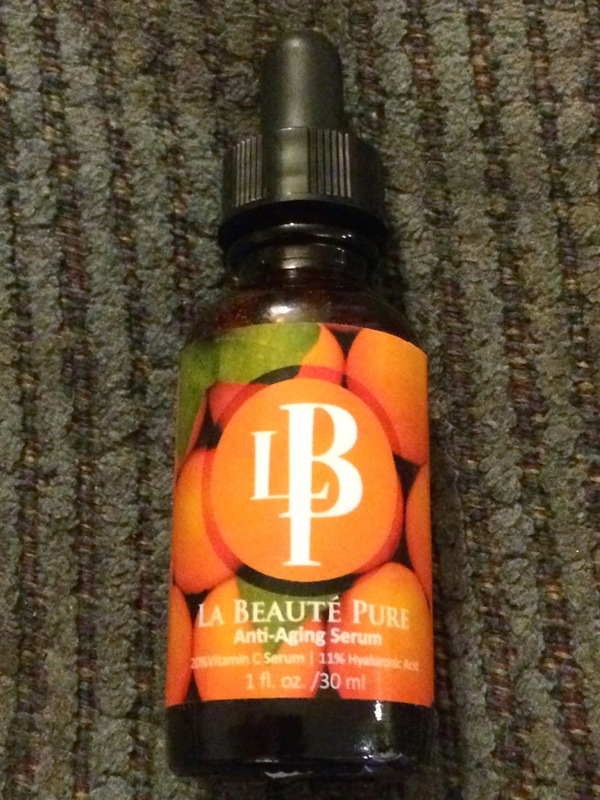 You can find the La Beaute Pure "Anti-Aging Serum" on Amazon.